2007 Spanish/Portuguese Andalsuian Gelding by Multi-National Champion PRE stallion, Santiago (Rothrock Andalusians), out of Tirania R.
Nacho is built very much like his sire, tall and long in bone and muscle. He is very athletic with beautiful, strong movement, and powerful suspension. Nacho is quite level headed with a temperament that is agreeable and easy going. He is resilient and intelligent, with a very curious mind that is interested in everything happening around him. He is the dominant leader among our young horses, taking charge whenever the opportunity presents itself. He is great to work with as he is quick to learn, engages easily, and really seems to enjoy his interactions with humans, demanding attention whenever we enter his world. 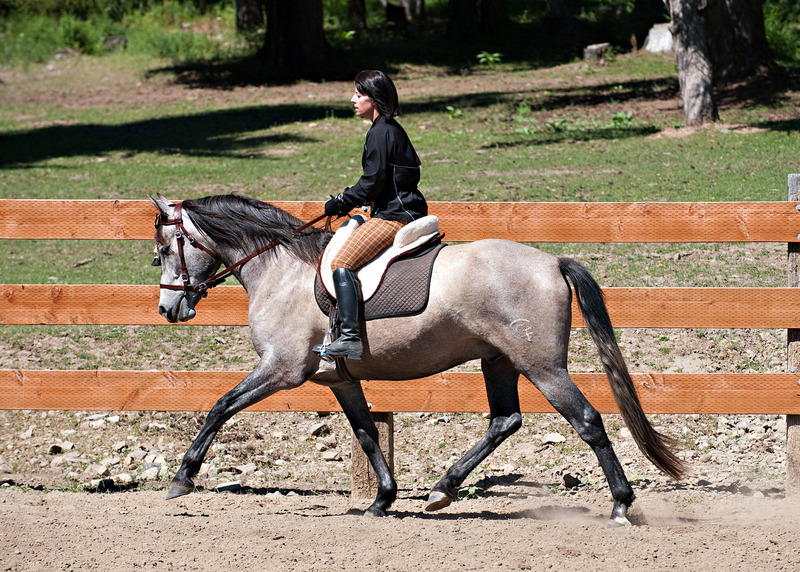 June of 2010 Nacho began his transition under saddle. He has been an excellent student, quick to understand what we are asking and willingly to work with a great attitude. 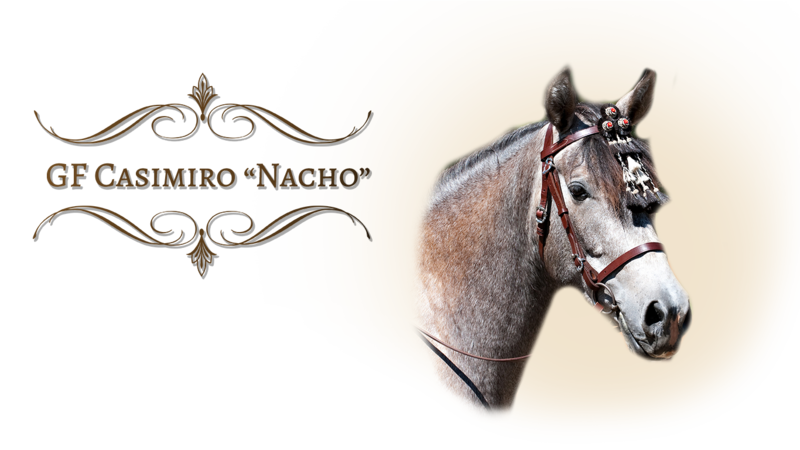 Nacho has three solid gaits, is moving very forward and free, and responds very well to the leg. Nacho is not at all spooky, is a very resilient, tolerant horse, and has very nice ground manners. He has proven to be a gentleman in the situations we have put him in. In August 2010 we took Nacho to his first show. He traveled and performed well. He won his first Championship in English Pleasure Junior Horse in the Open Show class, acquiring his first USEF points. He is an exceptional horse with a bright future ahead.